Made of 100% Brand new and high quality Rubber, Compression molding, sturdy and durable. 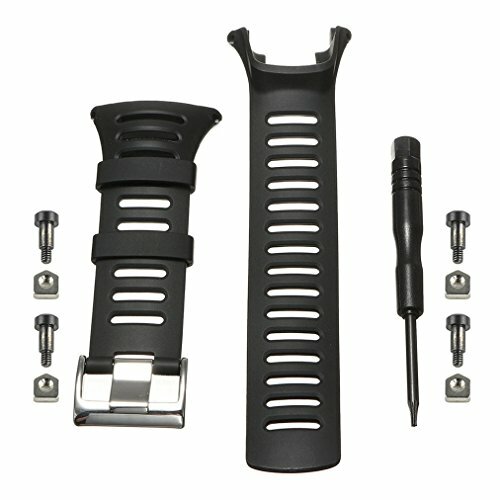 Premium watch band designed for a comfortable fit for your Suunto Ambit 1, 2, 3 or 2S watches! 15 holes on the strap, The size can be adjusted according to the circumstance of individual wrist. Easily install strap yourself in 5 minutes or less - comes with hex screwdriver needed for replacement! If you have any questions about this product by Amytalk, contact us by completing and submitting the form below. If you are looking for a specif part number, please include it with your message.